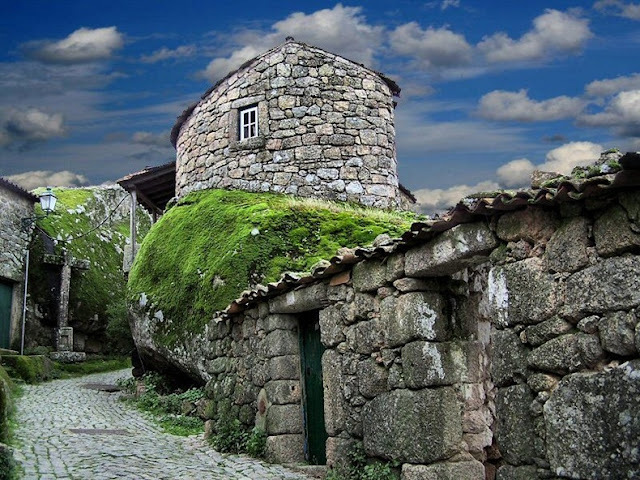 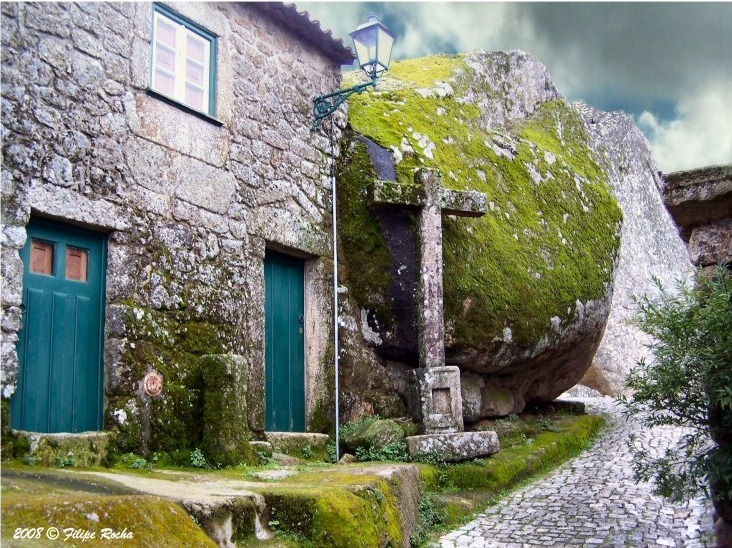 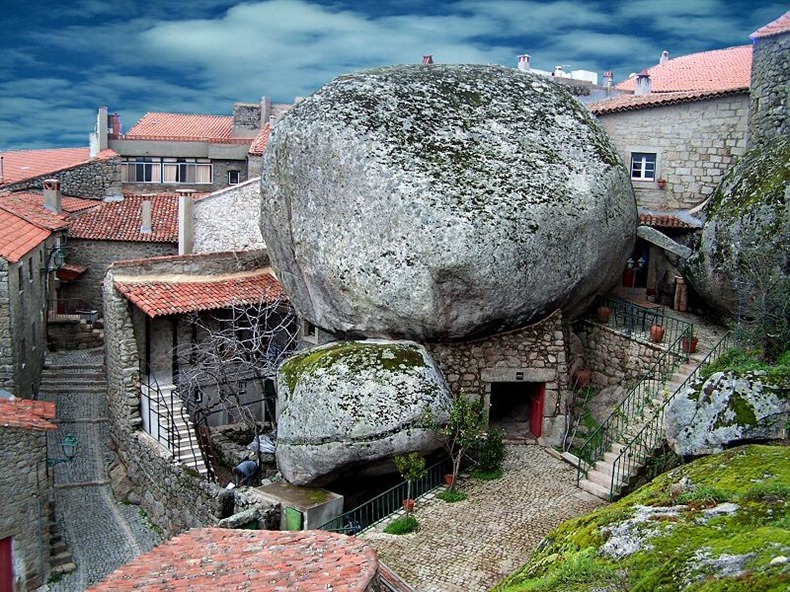 Southeast of Serra da Estrela in Portugal, perched on the side of a mountain, is a lonely and enchanting village of Monsanto. 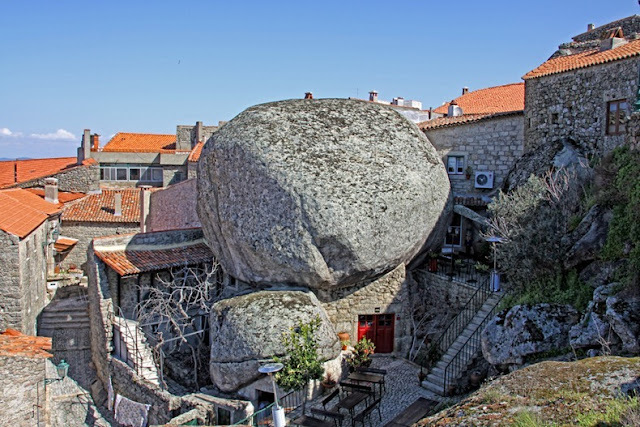 The village is built among rocks, with houses squeezed between gigantic boulders, and tiny streets carved through the rocks. 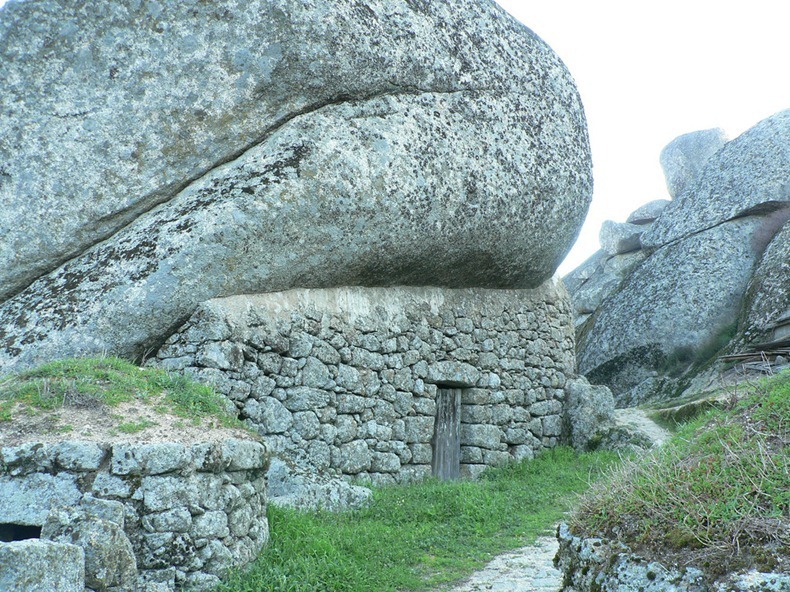 Monsanto’s appearance hasn't changed in centuries. 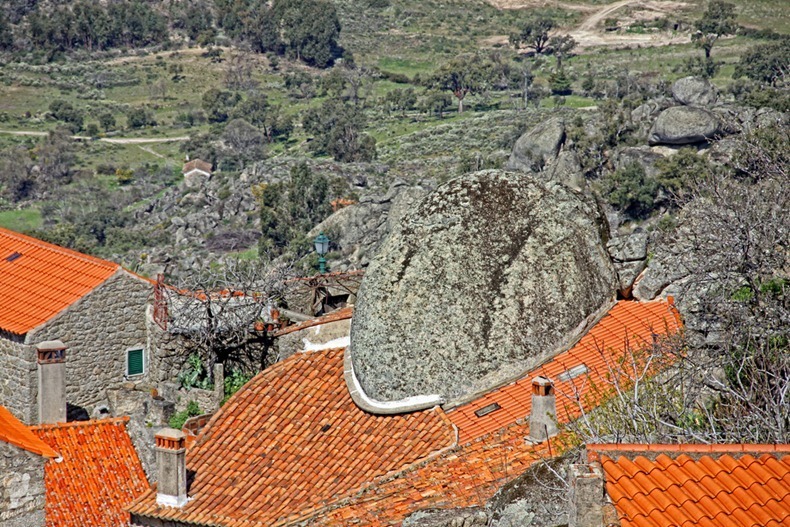 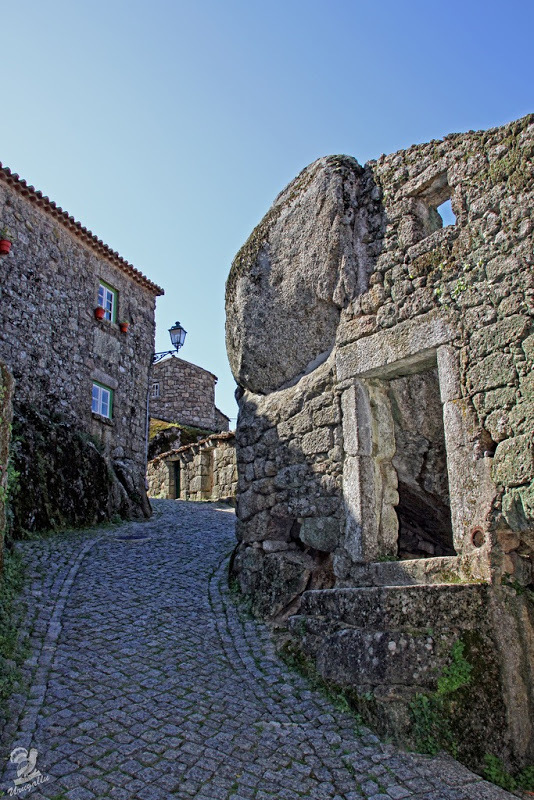 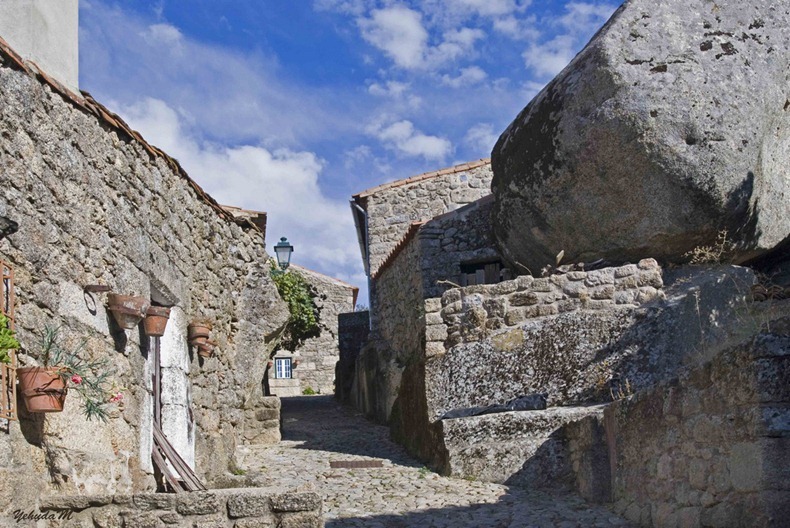 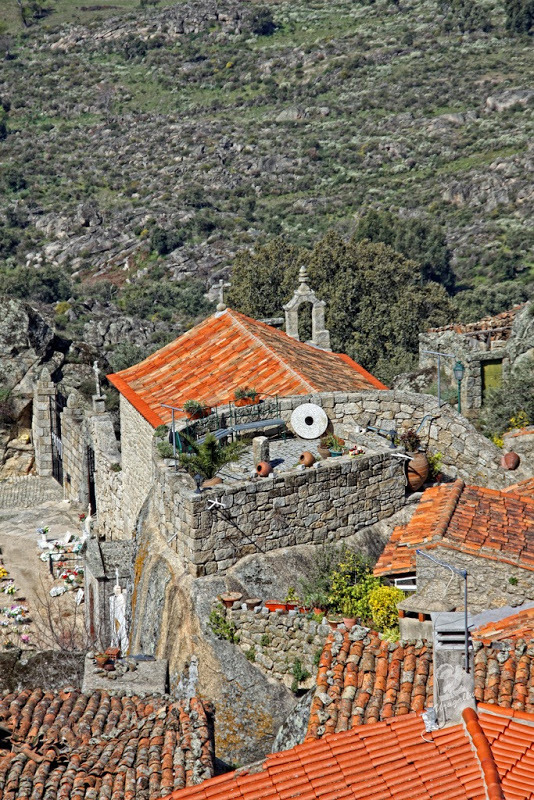 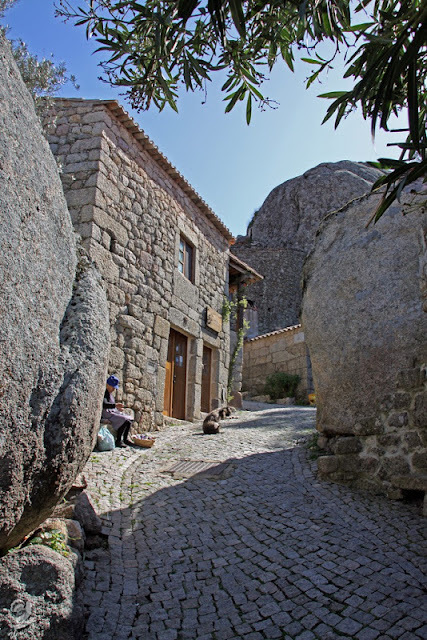 Some of the granite houses have Manueline doorways and the ruins of a castle that started as a Lusitanian fortified settlement, affords magnificent views stretching as far as Serra da Estrela. 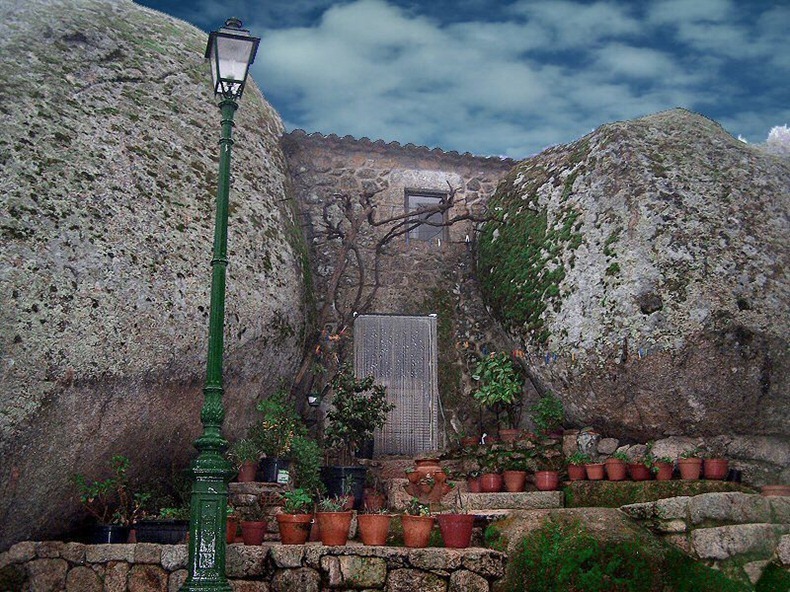 In 1938 Monsanto was voted "the most Portuguese village in Portugal" in a national contest, and since then building restrictions have allowed it to remain a living museum. 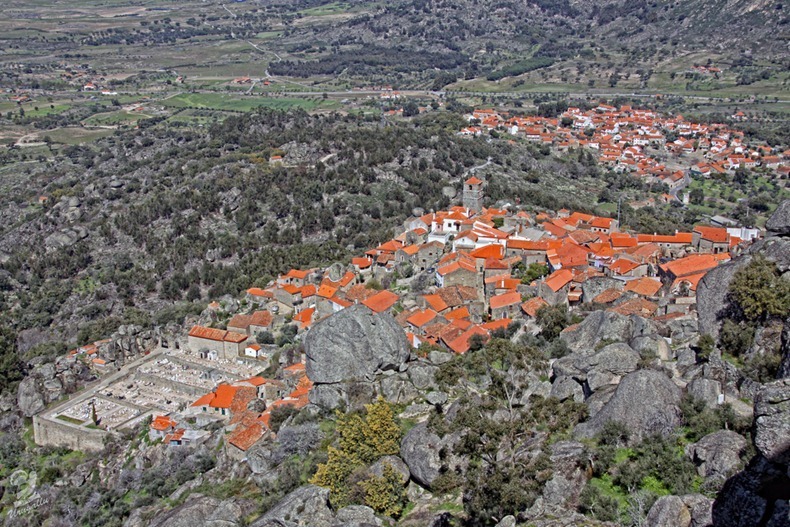 It is not easy to reach Monsanto by public transportation, but its atmosphere and immense panorama is worth a drive from the towns nearby or Serra da Estrela.